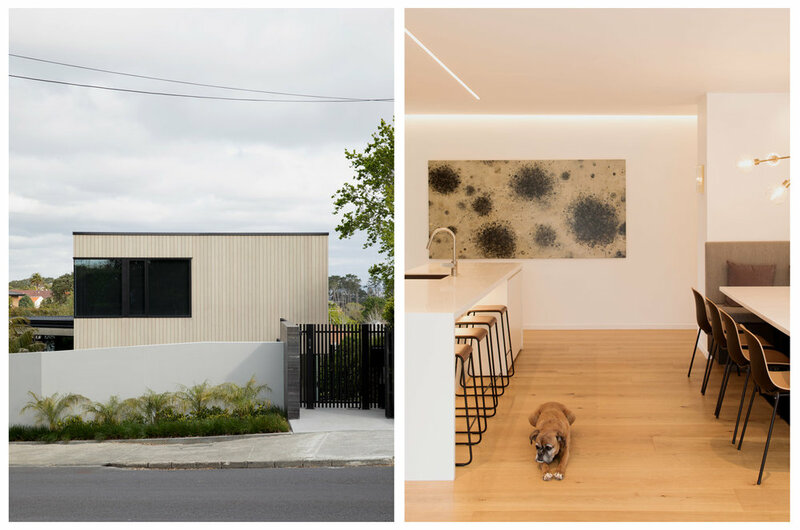 Riddell Road House, Young + Richards Architects. Landmark House, Queen Street Auckland 1929. Designed by Alva Bartley and Norman Wade for the Auckland Electric Power Board. Akaroa House - Paterson Architecture Collective. ‘John Scott – Works*’ is a personal, visual response to the work of architect John Scott. With photography and essays the book will attempt to weave together the essence of his work through details and moments. It will explore his ideas around materiality, spatial dexterity and consider his references to Maori and European vernacular traditions. 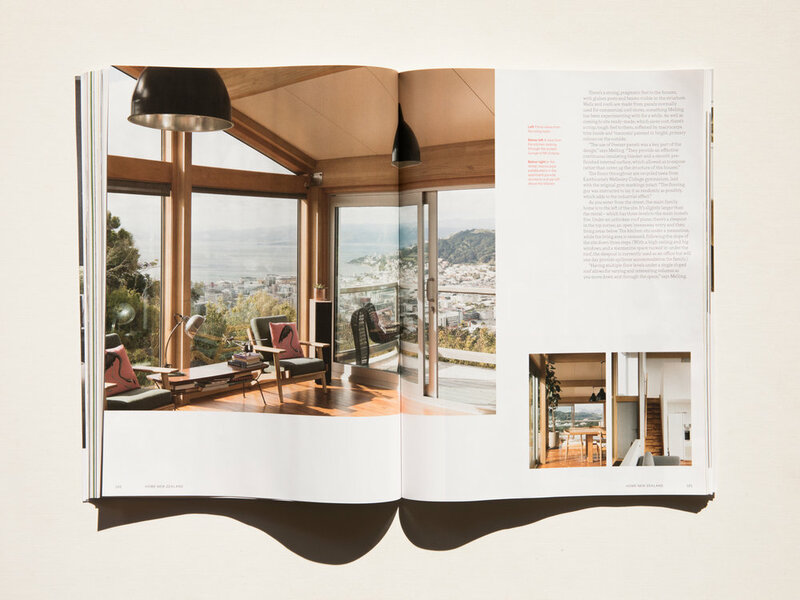 It is in part a celebration of one of New Zealand’s most important architects and a timely and necessary acknowledgment not only of his buildings but also his place within a wider cultural context. Recent work in the Aug / Sept issue of HOME Magazine featuring; Upoko Architects Punakaiki cabin (cover) and Wellington townhouses by Spacecraft Architects. Kauri Bay Boomrock, Spacecraft Architects. Amano Restaurant by McKinney + Windeatt architects, Supreme Winner of 2017 Interior Awards. The scene of a cultural crime. The site of John Scott's former Aniwaniwa Visitor Centre. Ira Street House, Spacecraft Architects for HOME Magazine.